I read this article and found it very interesting, thought it might be something for you. 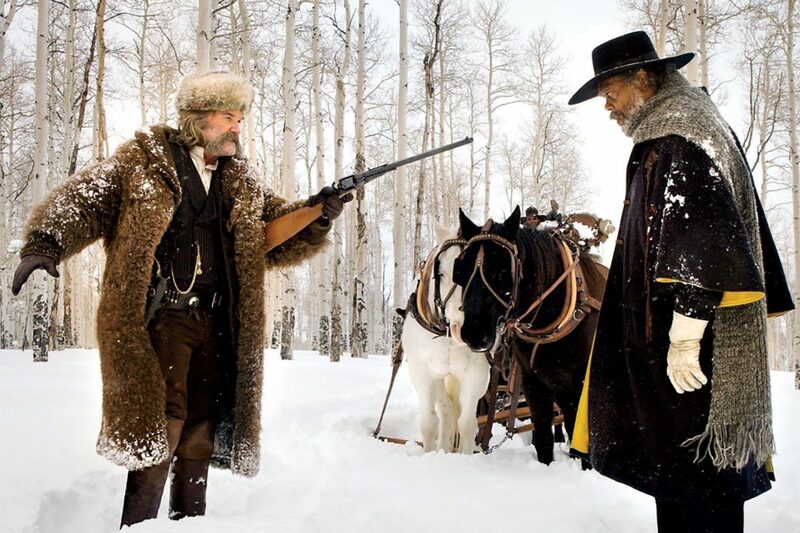 The article is called Cinema Review: The Hateful Eight and is located at https://www.totallydublin.ie/film/the-hateful-eight/. The Hateful Eight sees eight misfits on the right and wrong side of the law brave a storm in a remote cabin somewhere in the wilderness of Wyoming. But those expecting claustrophobia from Quentin Tarantino’s suspense-laden Western mystery movie are in for a shock. Shot in Ultra Panovision 70mm, the film has its ensemble cast take refuge in what appears to be the most impossibly big small-space imaginable. There’s something of Alice in Wonderland in the haberdashery’s ample spaciousness. Some folks have pointed toward the squandered potential of the film’s shooting style, noting that the lack of exterior shots takes away from the widescreen formatting of the picture. This is nonsense: Leone filled his frames with sweaty, brooding faces and Tarantino does the same to great effect. The film, meanwhile, plays out like a bloodier take on an Agatha Christie mystery. The characters are as colourful as a Christie ensemble, but the plot is poorly constructed, and indeed, it is spectacle more than anything else that sees us through the storm with this one.